If you missed #25 click here. Best Moment: Hog Wild! When you ride a pig throughout a level, it's so much fun! Well, if you followed my website last year, you know exactly how much I love the Crash Bandicoot games. I covered my Top 30 Favourite Crash Bandicoot Levels, which you can read about here. Based on the fact that I covered the Crash series so much on my website last year, it's pretty safe to say that all three Crash games will feature in this listing. 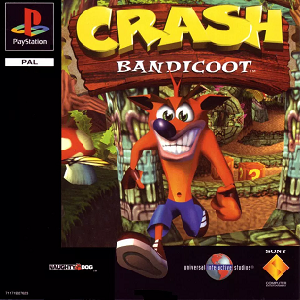 And with this being the first one, it's also a safe bet to say that this is my least favourite of the Crash trilogy. But just because it's my least favourite doesn't say it's a bad game, not in any way, shape or form at all. It's a good game. 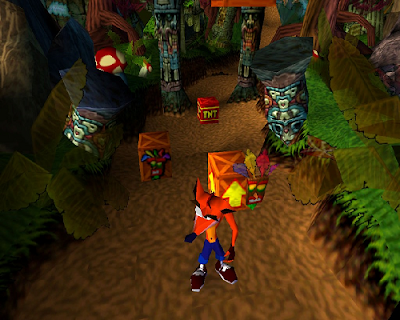 But Crash 2 was a HUGE improvement on Crash 1, so was Crash 3. It's definitely the weakest of the three games in terms of quality. But it's a fine platformer with some wonderful levels, and, of course, if it wasn't for this game we'd never get Crash 2 or 3. It's also ridiculously HARD. Getting all the gems is even harder. But despite that, it's a great game, it really is. To find out what came in at #23 click here!